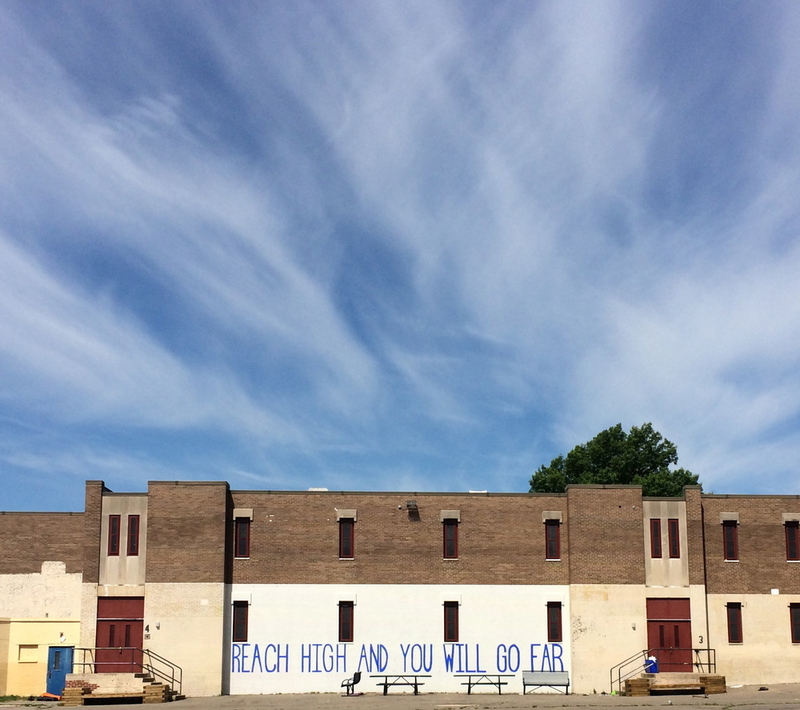 In partnership with the City of Philadelphia Mural Arts Program, this mural was created at Belmont Charter School in West Philadelphia’s Belmont neighborhood, a neighborhood that is underrepresented and negatively perceived amongst other Philadelphians. The mural created a shared space for residents from Belmont and the nearby West Powelton neighborhood to come together. I created the outline for the mural and then sent out postcards complete with paint in a tube and brush to random residents in West Powelton inviting them to come and add their paint to the wall. The mural filled out over the course of the week as residents came by and added their paint.